The beautiful hue of this pink sapphire cross pendant in yellow gold is a daily reminder, when worn, that we love God because He first loved us. 1 John 4:19 simply and rightly says: "We love him, because he first loved us" and Scripture does not lie. 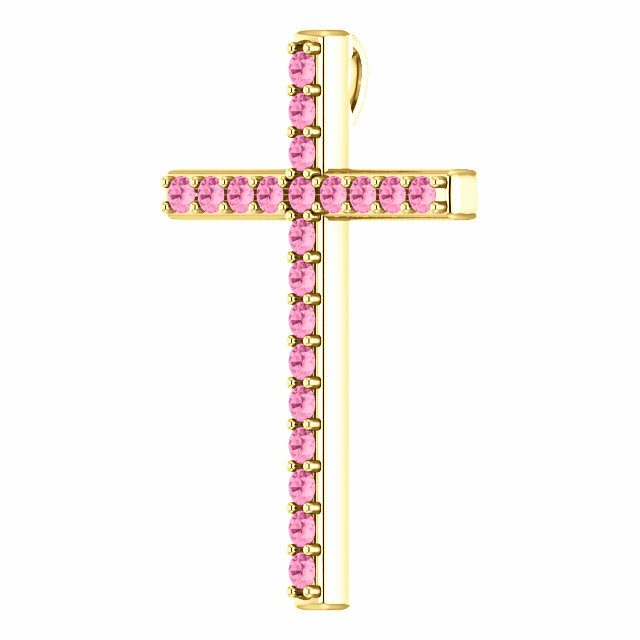 The cross pendant is pinpoint set with 21 real 2mm pink-sapphire gemstones in your choice of 10k, 14k, or 18k yellow gold. Add a matching gold cable link chain necklace to complete the look or wear this pretty cross with one of your own. 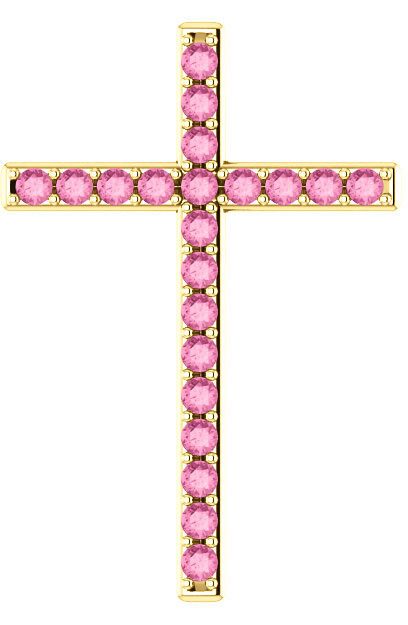 The pink gemstone cross measures 1 1/4" tall x 0.85" wide and has a hidden hoop/bale behind which is not visible when worn, creating an aesthetically pleasing look that highlights the gems, not the gold hoop. 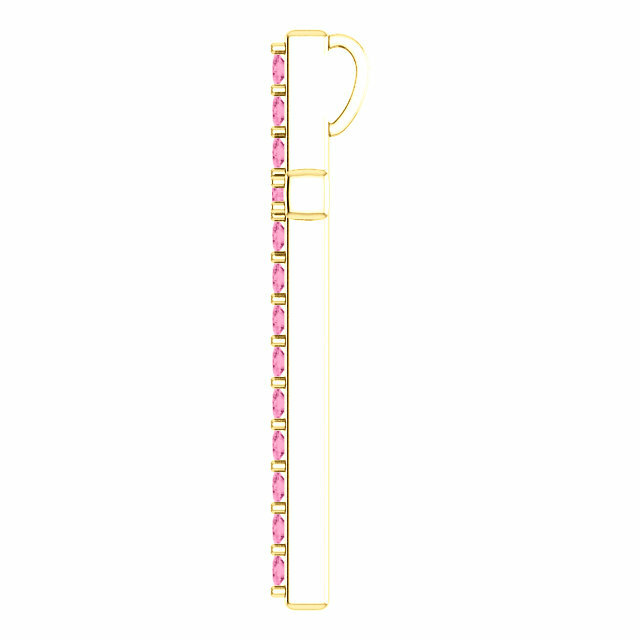 We guarantee our He First Loved Us Pink Sapphire Gold Cross Pendant to be high quality, authentic jewelry, as described above.